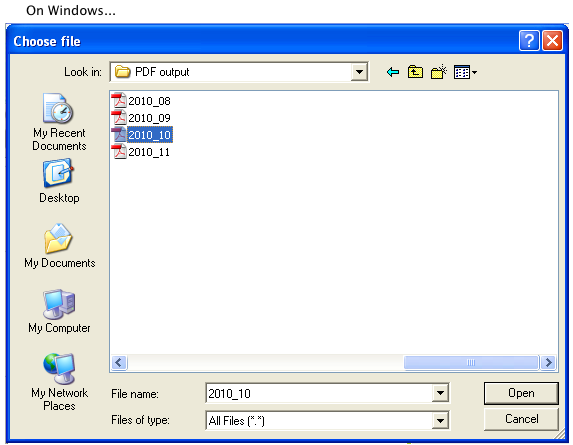 Q: How do I attach multiple files to my fax? First, you might want to type some text in the text box, which will appear on the cover page. 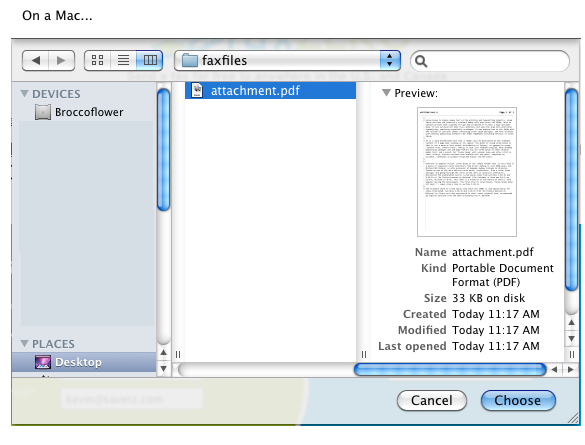 Next, notice the three buttons for attaching a file. On FireFox and Internet Explorer they say "Browse", on Safari they say "Choose File": either way, click the topmost button. To select more than one file at once, your browser must support HTML5. You can use the method supported by your operating system, such as Ctrl+Click, Shift+Click, and Click+Drag for Windows, or Command+Click, Shift+Click, and Click+Drag for Mac. ...and you'll know it's attached properly because you'll see the name of the file next to the button. If you selected more than one file, the name will not be shown next to the button. 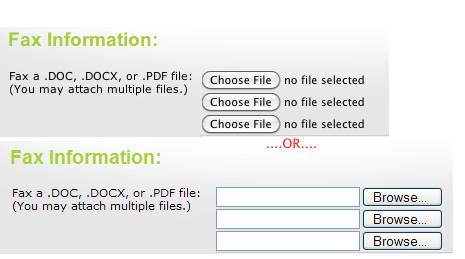 However you can click on the check or question mark next to the button to see the list of files selected. Click the middle button and repeat for your second attachment(s). Click the bottom button and do it again, if you have a third attachment(s). Fill out the rest of the form (your info, receiver info, confirmation code) as usual, then click Send Free Fax Now or Send $1.99 Fax Now.